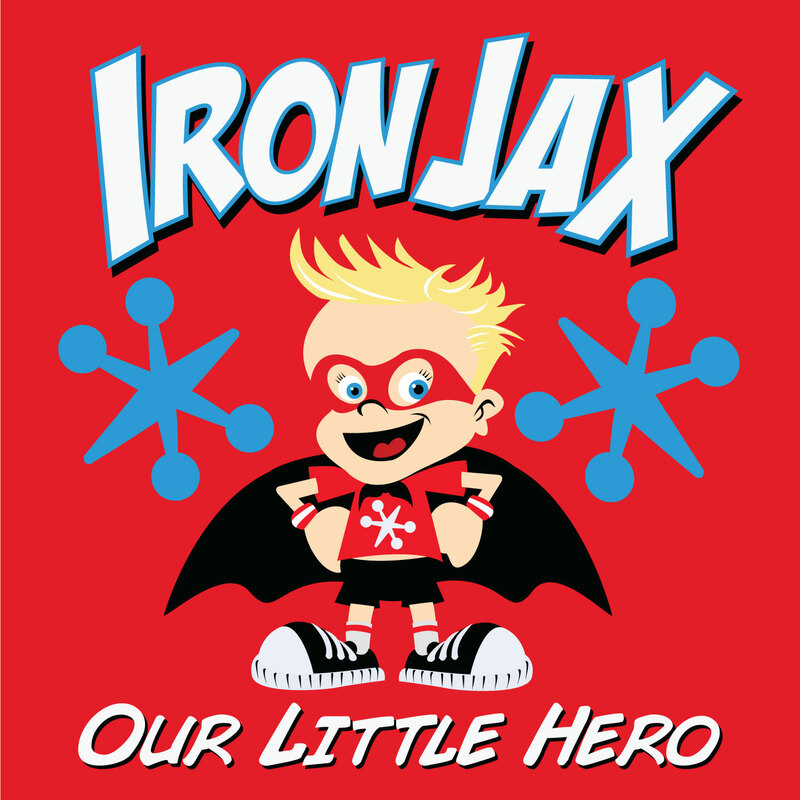 Registration for the 2014 CHOC Walk in the Park is and team Iron Jax has been created. This year’s Walk will be Sunday, October 12 at 6:30 a.m. It will kick off at Disneyland’s Main Street U.S.A.
For those that don’t know, Jax passed away at CHOC’s pediatric intensive care unit. The entire staff was so compassionate to us and treated us with so much respect that this is our little way to give back to the hospital and the community in memory of our little hero. 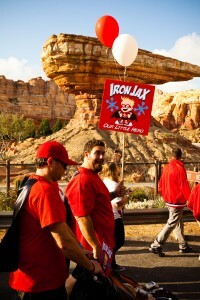 Iron Jax group shot at California Adventure. 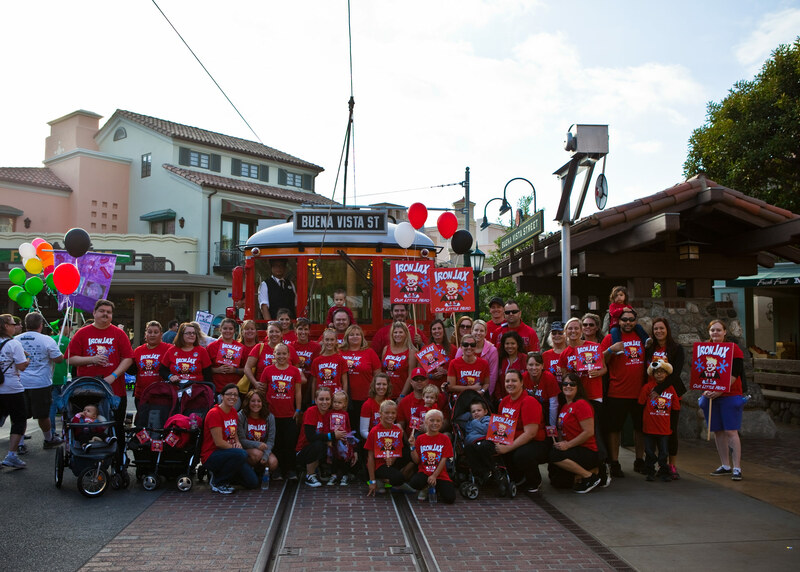 The Children’s Hospital of Orange County annually raises funds to support the care, services, research and education that CHOC provides children. Last year more than 15,000 participants raise $2.1 million from the event, which was presented by Disneyland Resort. 1-Day Park Hopper® ticket for $78 or a 1-Day 1-Park Ticket for $50 for use on this or your next trip to Disneyland® Park and Disney California Adventure® Park! A maximum of 5 tickets may be purchased per wristband. Offer valid on 10/12/2014 and tickets expire 11/7/2014. Go here and click on “Join an Existing Team” on the right-hand menu. Scroll down and enter “Iron Jax” as the team name. It takes you a page to verify this is the Iron Jax that you are looking for (Kristina is listed as the captain) and then click on Iron Jax. At the right of the team page you’ll see the active roster and a “Join Team” button. Click it. You can sign up as an individual walker (no fee required but you’ll need to raise $50 minimum) or as a sleeping bear, which allows you to raise funds in your name, for Iron Jax, and take part in prizes. But you aren’t able to walk. If you’d like to simply make a donation as a non-team member, click here. Full disclosure, that takes you to my personal page. Click the “Donate Now” button to proceed. 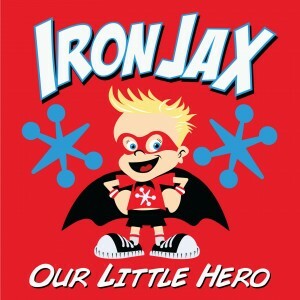 If you want to donate to a specific person on Iron Jax, go to the Iron Jax main page, click on the Walker you want to donate in the name of and go from there. Please keep in mind to walk, a Walker needs to have raised a minimum of $50. Children ages 3 and up are required to be Walkers. Two and under are free. We will order t-shirts again depending on the demand. So if you want one, let us know. Otherwise we’ll assume most everyone has one by now and won’t place an order. Thank you in advance for those that choose to take part in this event as a walker, fund raiser or donor. 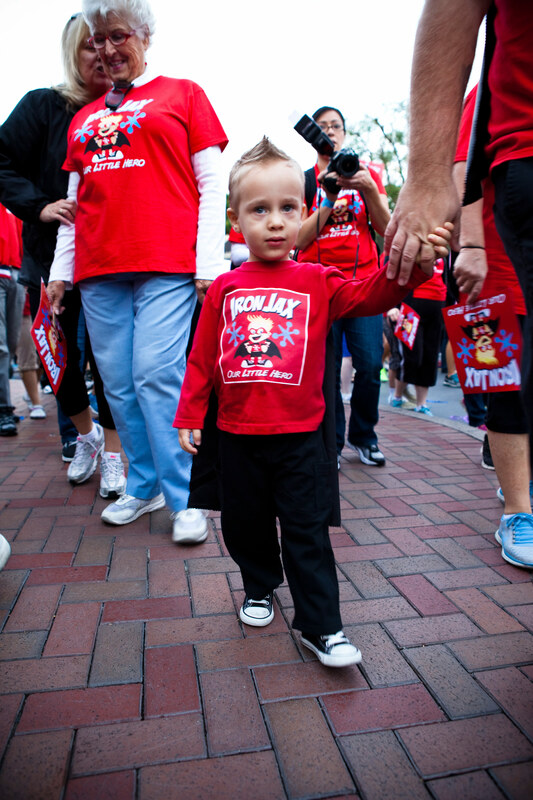 It means so much to our family to give back to the community in Jax’s memory. 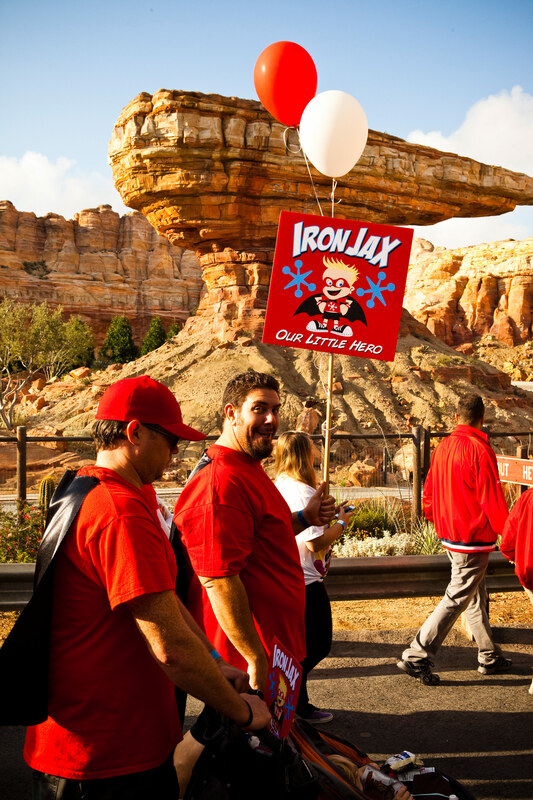 This entry was posted in Grief, Jax and tagged choc walk, choc walk 2014, iron jax, jax, team iron jax by Seth. Bookmark the permalink.